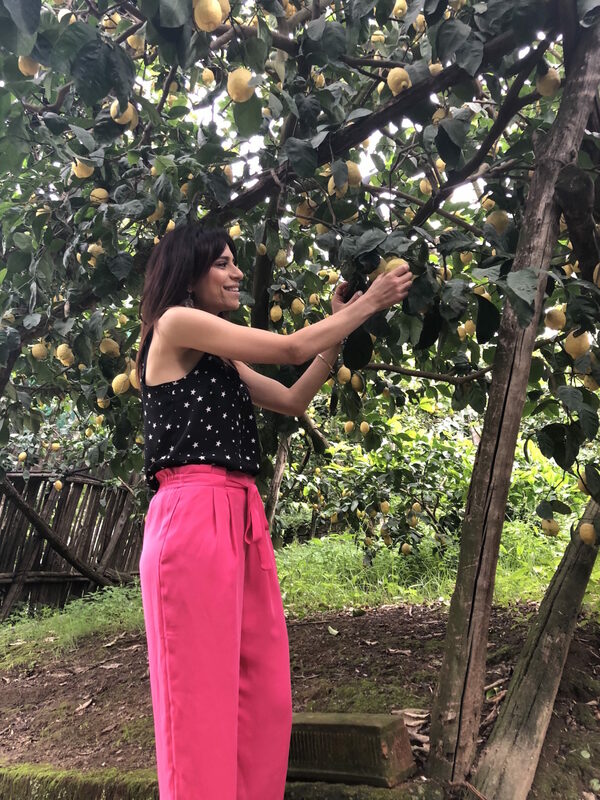 One of the most exciting things I did on the trip was visit the lemon farm in Sorrento; the La Masseria Farm. It is a great idea and definitely should be included in your ”things to do list” if you have kids because they will absolutely love the whole experience. 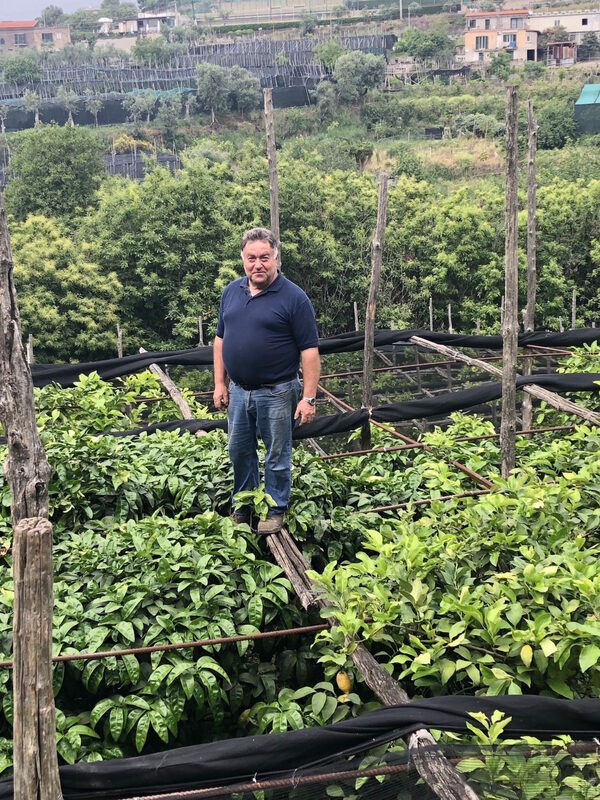 A trip to La Masseria Farm I would say was one of my highlights in Naples. The land of Lemons aka Sorrento is one beautiful town. From the cute cobbled streets, to the ice-creams to the buzzing life, I was fascinated and fell in love with this part of Naples. 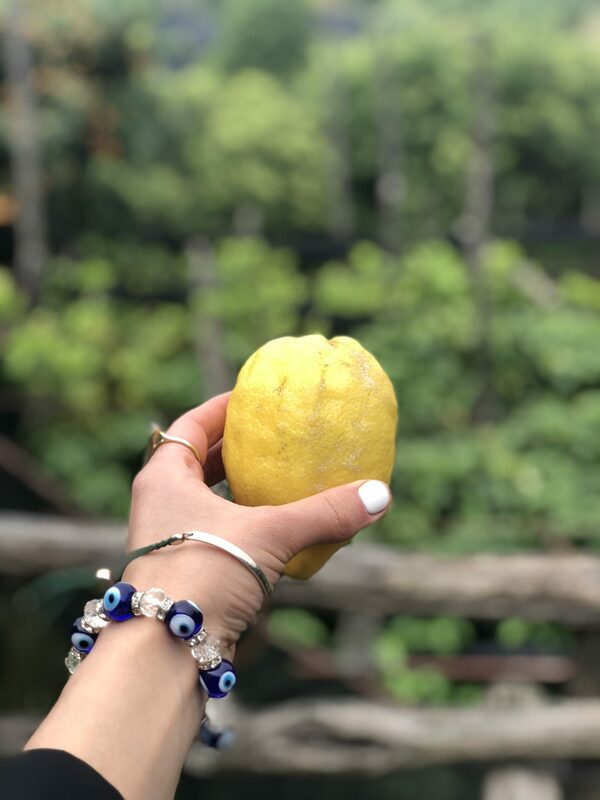 If you are a fan of limoncello and olive oil, then a trip to the lemon farm in Sorrento; La Masseria is calling you. 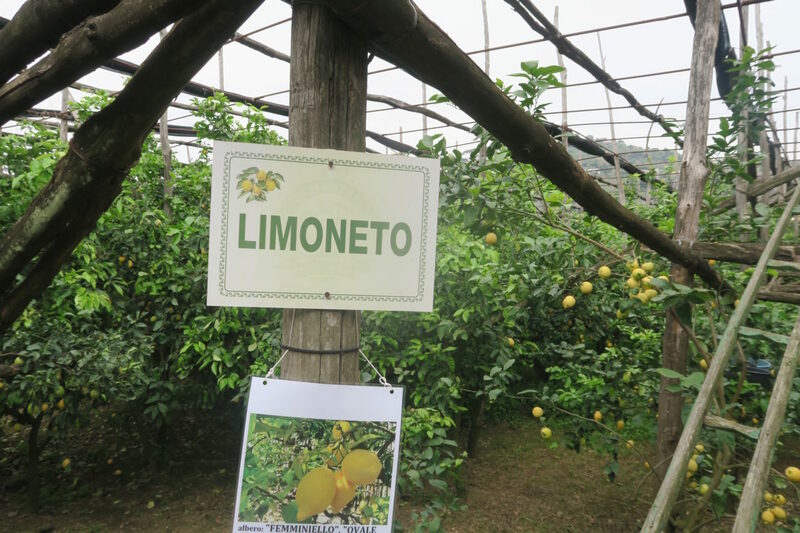 This family run farm are huge producers of Sorrento’s Lemons and extra virgin oil and have been running since 1898! Yes you read correctly…1898! How incredible is that? Now it is run by the lovely Eugenio and his parents. 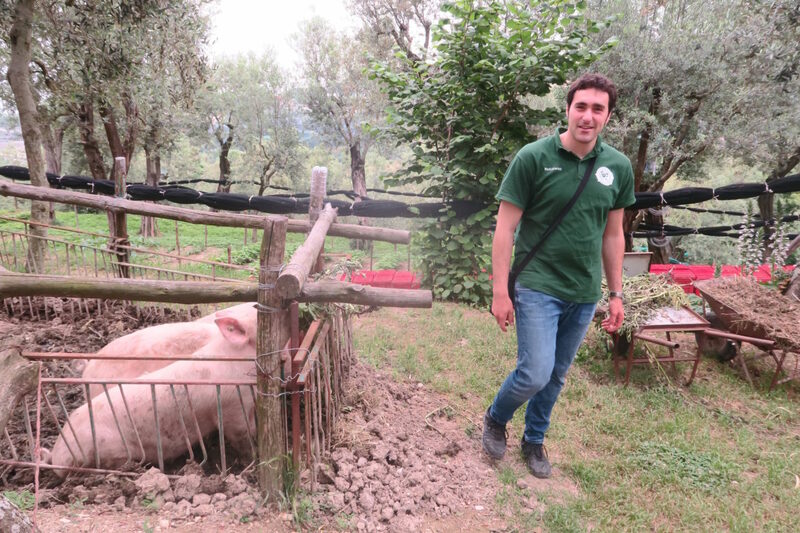 I would recommend booking their guided tour which includes the pick up from your hotel, (do make sure this is agreed with Eugenio on booking), the farm visit and lunch made by Eugenio’s mother. 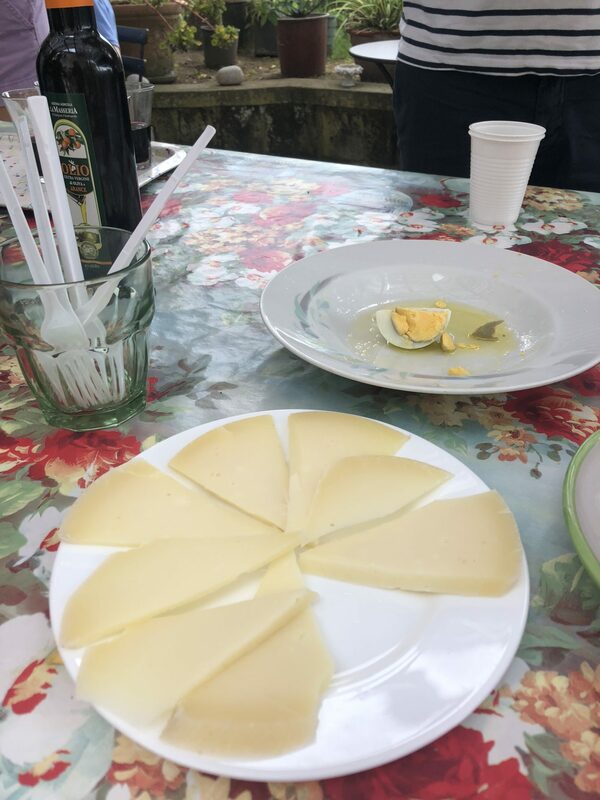 The tour also includes and insight into the old family museum and the ancient family Winery, finishing off with tasting of their own products; homemade lemonade, sliced lemons with sugar,citrus marmalades, honey and fragrant olive oil on homemade bread. Enough to make you want to go right? 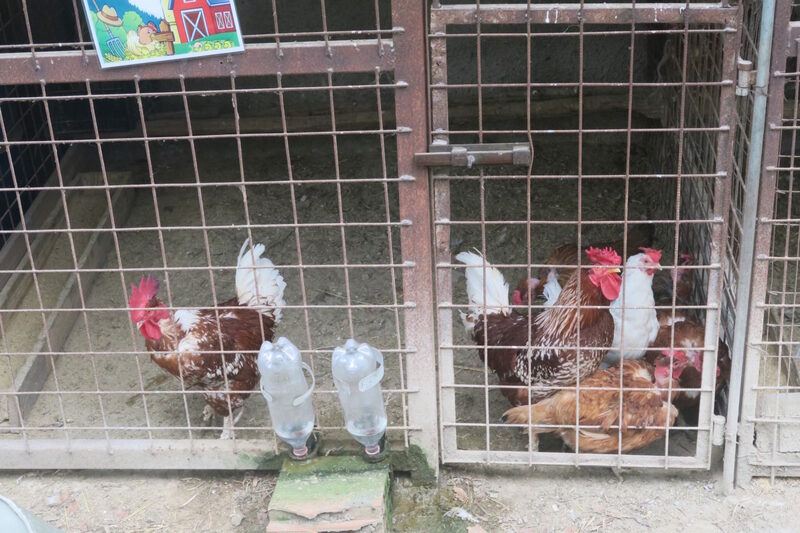 The tour started off with greetings from the farm animals, and moving on swiftly to the lemon trees. 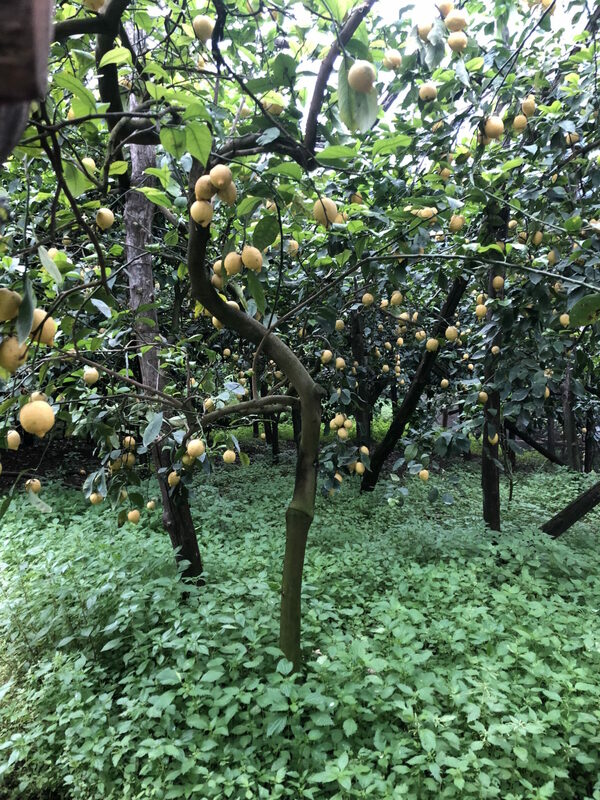 There were thousands of lemon (Limoneto) trees spanning the whole farm. 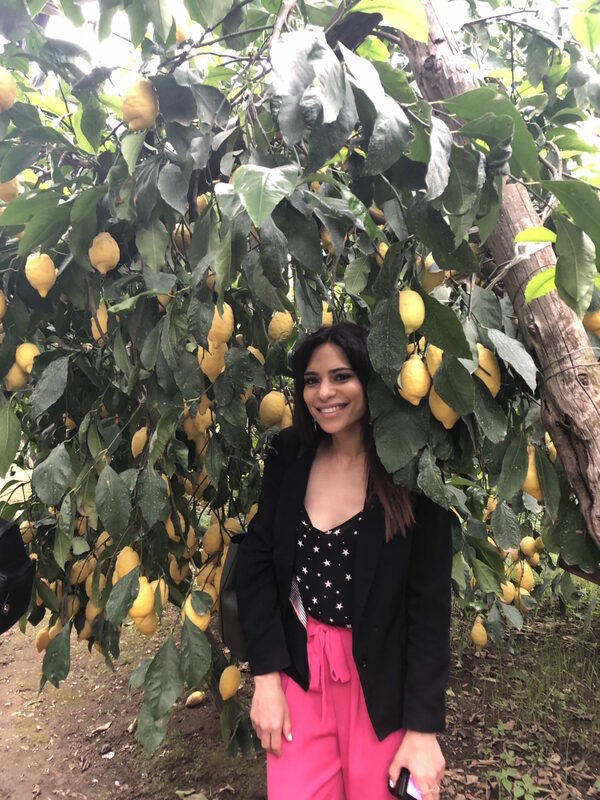 We were shown how the lemons were caught using the nets and when they were harvested and picked, I had no idea of the complexity and science behind it all so it was very interesting to hear. Did you know you can graft lemon with orange trees? We also caught site of some bee hives (which I must say I cringed as I am a bit if a scaredy cat when it comes to bees) other fruit trees and of course the famous olive trees and we were shown how the olives were pressed to form the oil. 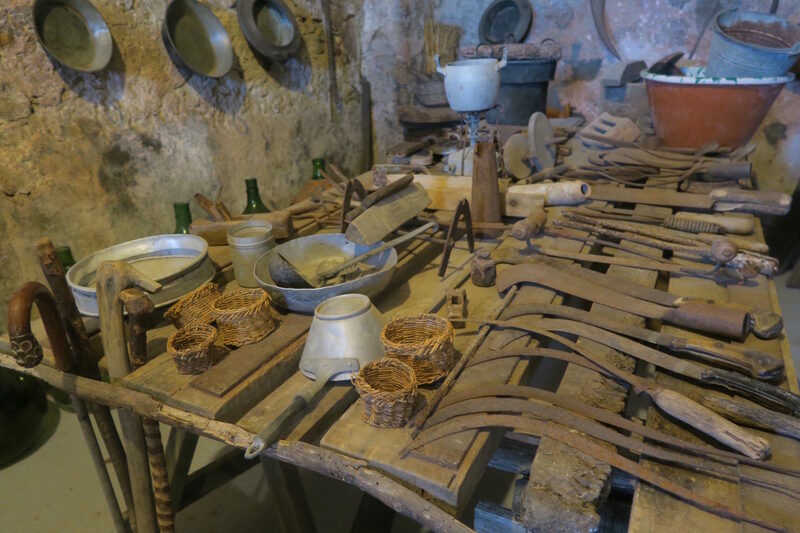 The tour ended with a show of the museum of farming tools dated hundreds of years ago and it was impressive to see how far we have advanced. 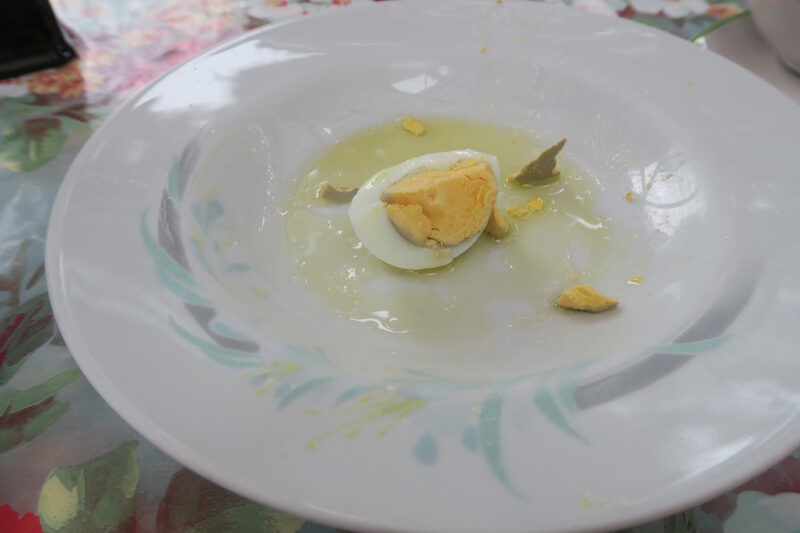 After a lengthy and insightful tour, we worked up an appetite and was served tastings of lemon and sugar (incredible I must say), lemonade to drink and various flavours of olive oils with orange being my favourite and cheese/jams and honey. 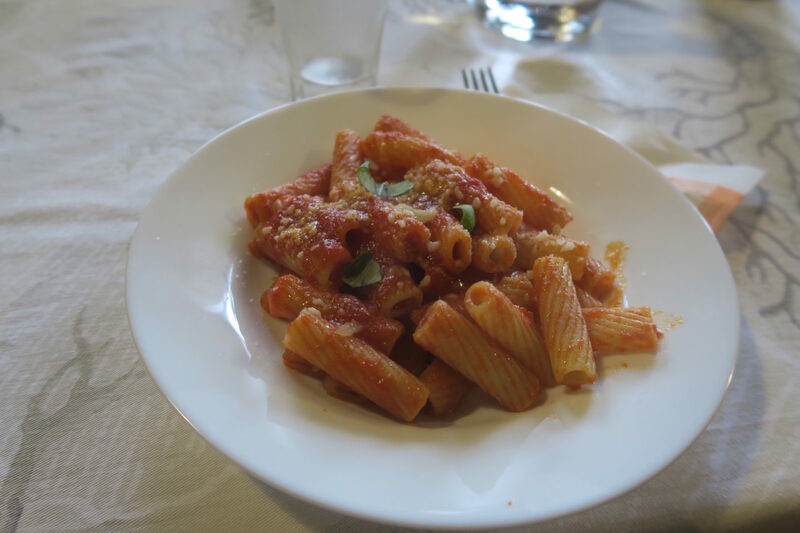 After that followed a lovely dinner of home made tomato pasta with lemon cheesecake for dessert. We were also given a demonstration on how Limoncello is made and free sampling. I had no idea that they use 90% alcohol in this drink, did you? The afternoon ended with some purchases of products they had on show for us. 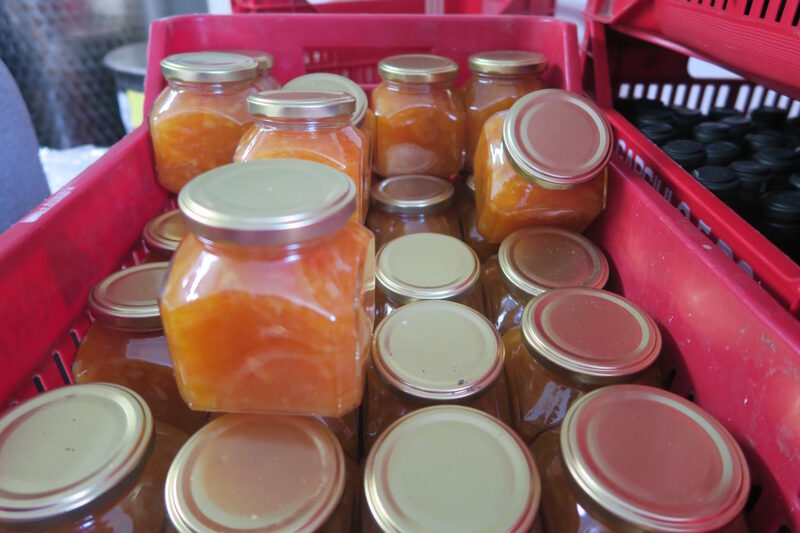 I took home a bottle of the orange olive oil and a jar of honey. 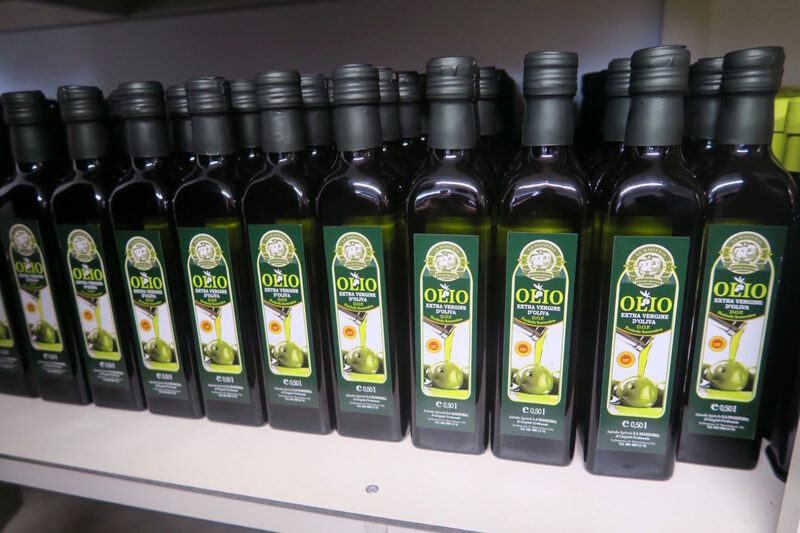 They also thought very carefully about luggage limits and offer a travel size bottle of 100ml olive oil. So no excuses can be given for not buying their products. However, I would have liked to have bought a travel sized honey pot because you can guess what happened at check-in on my trip back. Yep, it was confiscated from me despite pleading with the security men that it was unopened and sealed. Overall, it was a lovely afternoon and the family are so friendly and made the experience a memorable one. 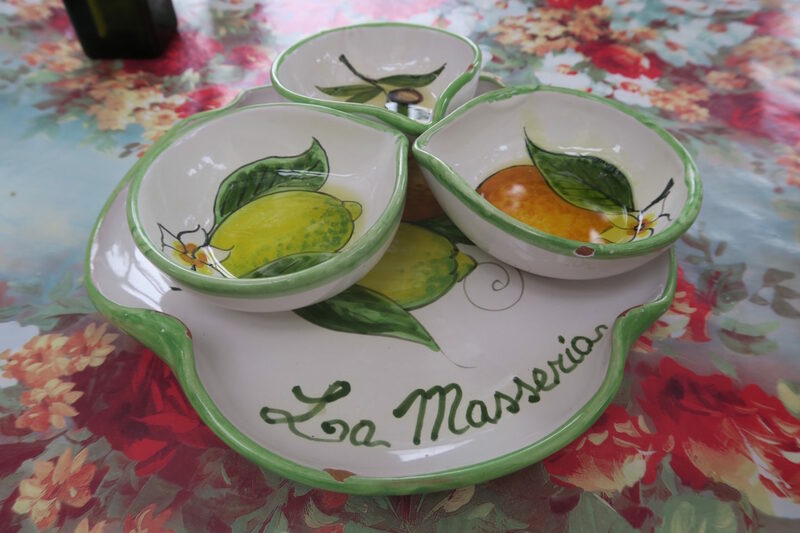 I would definitely recommend a visit to La Masseria farm if you venture out to Sorrento. Put this in your must see list. 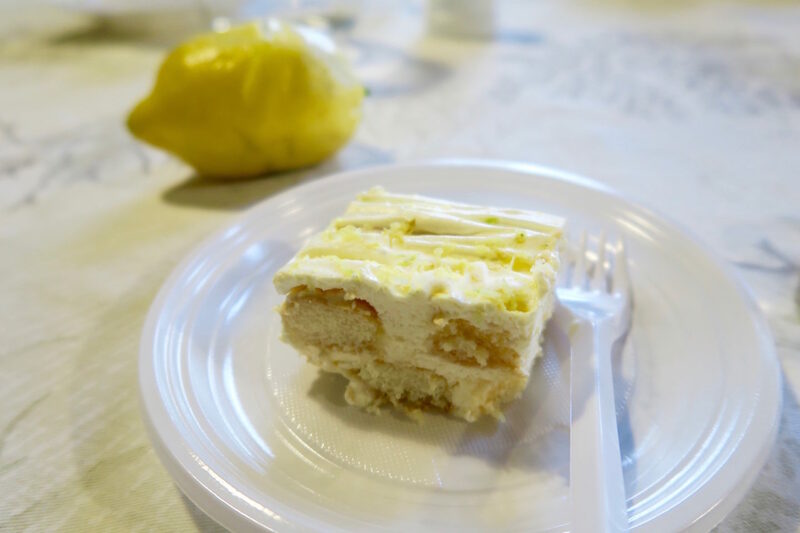 Are you a lemon fan? I certainly am now after my visit here.